Not every trip is perfect. Instagram and blogs often make it look like that way, but sometimes things go wrong or we get lost (and drive 30 minutes in the wrong direction when we were 2 minutes away had we just turned left instead of right, guilty). And sometimes, a destination or tour just doesn't live up to the high expectations you set up for it. That disappointment is what I felt while exploring Gaiman on a recent trip to the Puerto Madryn area of Argentina. So, is a day trip to Gaiman worth it? Despite being slightly let down, I'd still say it is. Gaiman is very cute and the fact that I set high expectations is on me, not poor Gaiman. 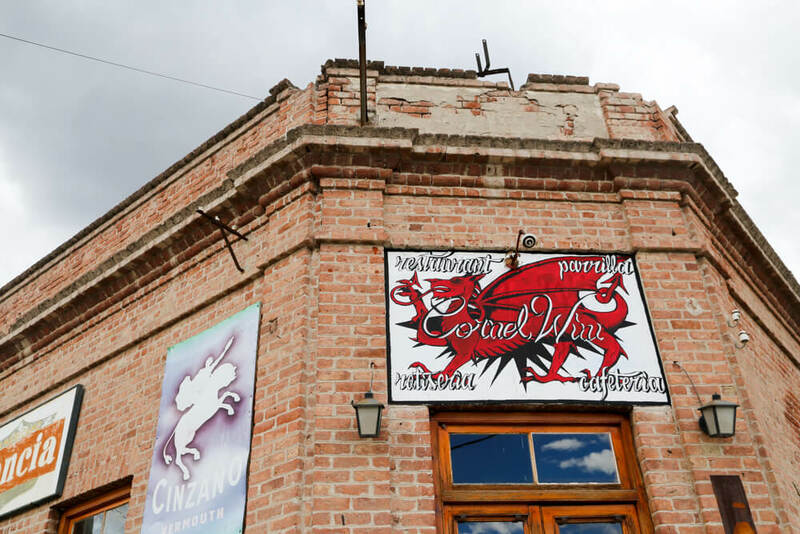 However, I would do things differently, So here's how we spent our day in Trelew and Gaiman, what I liked and didn't like, and some possible alternatives. 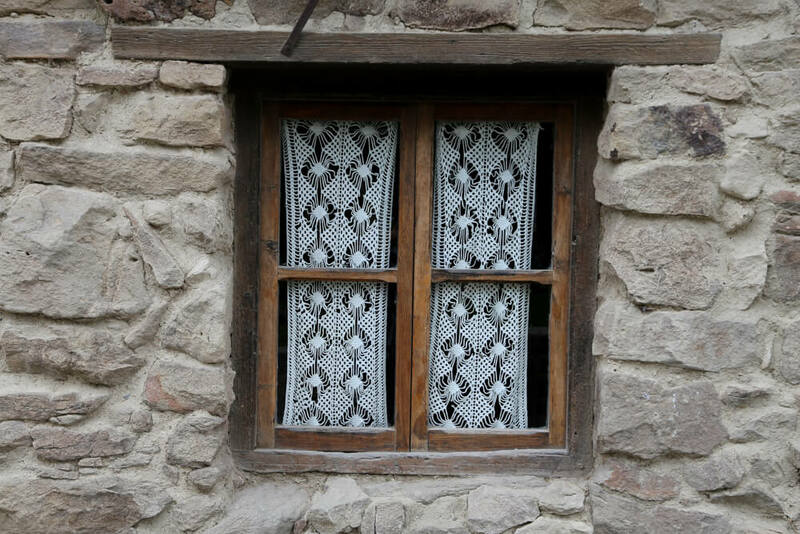 This small Welsh village is just 15 minutes from the large-ish city of Trelew in the Patagonia province of Chubut. Gaiman is an easy day trip from Puerto Madryn. The highways here are very well maintained so it was an easy drive, it took us an hour and forty-five minutes to get to Trelew from Puerto Piramides. But, if you're based in Puerto Madryn, it's only a 45-minute drive. 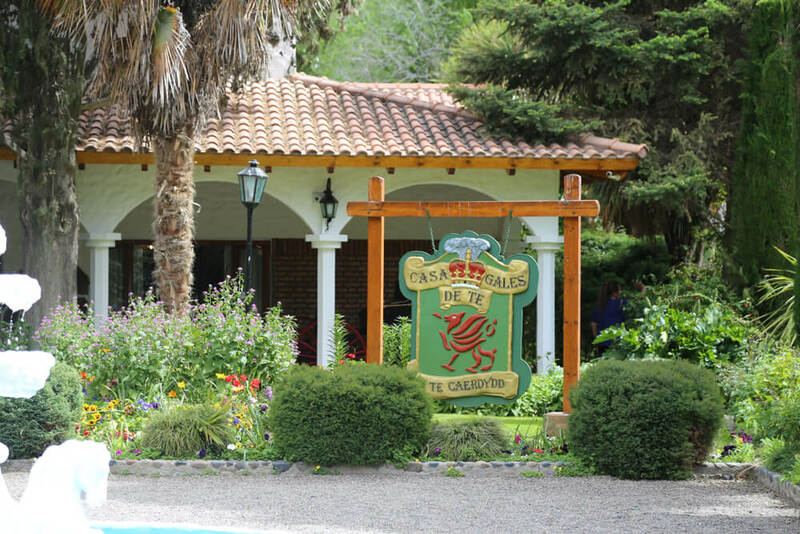 While it's most common to use the city of Puerto Madryn as your base here, we actually stayed on the Peninsula Valdes in the small town of Puerto Piramides. We spent our morning whale watching from the beach of El Doradillo, read about that here. So our day trip to Gaiman was really just an afternoon in Gaiman. We got to the city of Trelew just in time for lunch. We had plans to see the Paleontology Museum before heading onwards to Gaimain for tea time. But first, food. Driving into town, we stopped for the obligatory photo of the enormous, life-size statue of the Patagotitan mayorum, the world's largest dinosaur (found right here in Chubut!). Before the dinosaurs, we had to eat but were short on time so we found the closest bakery. We picked up food to eat in the park, nothing special, but you can't complain about spending only $10 US on lunch for four adults. Bellies full of good but not great sandwiches (me) and delicious Shepherd's pie (the men), it was dinosaur time. We paid $220 pesos each (check their website for up to date prices and hours). They accept credit cards. The museum is made up of four large rooms filled with fossils and dinosaur skeletons. I really enjoyed the museum. 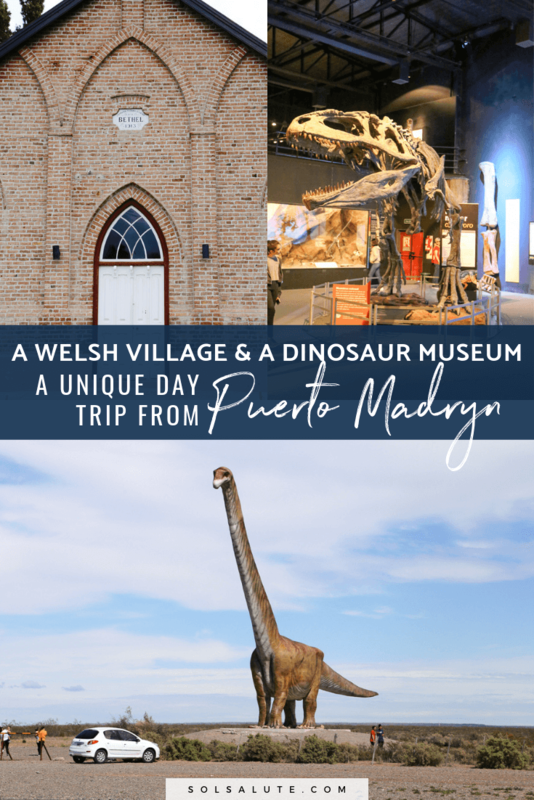 I'd say it's a must do if you're visiting Puerto Madryn with kids. But we were four grown-ups who also enjoyed it immensely (and learned a lot!). We spent just under an hour here so you don't need to budget too much time for this. The drive from Trelew to Gaiman was just 10-15 minutes. Just as you drive into town, you'll see an information center to your right, go here! Despite it being such a small town, everything you want to see is spread out and not easy to find if you don't know where to look. The visitor center was very helpful. He gave us a map and marked all the must-sees for us, helping me organize our afternoon. I'm not sure if they speak English, but they do speak Welsh! All of the signs were in Spanish and Welsh, which I thought was very cool and very unexpected in Argentina. First stop, a bit of history. It was still a little early for tea time, so we started off by visiting the first house in Gaiman, or in Welsh, Y ty Cyntaf (say that 5 times fast). 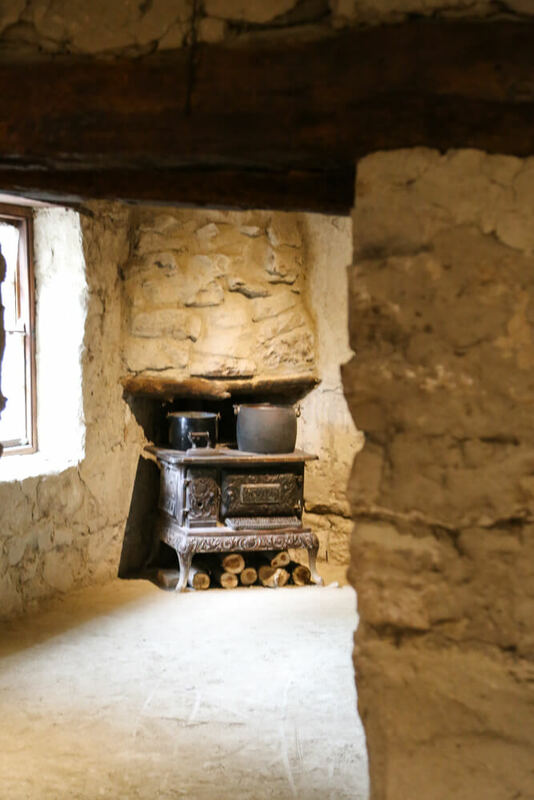 This tiny three-room house was built by the first Welsh settlers who arrived in the area in 1865. The entrance to the museum was only 40 pesos each and the guide told us all about the family and the history of the home. There are two churches to visit in Gaiman, and they are conveniently on the same property. 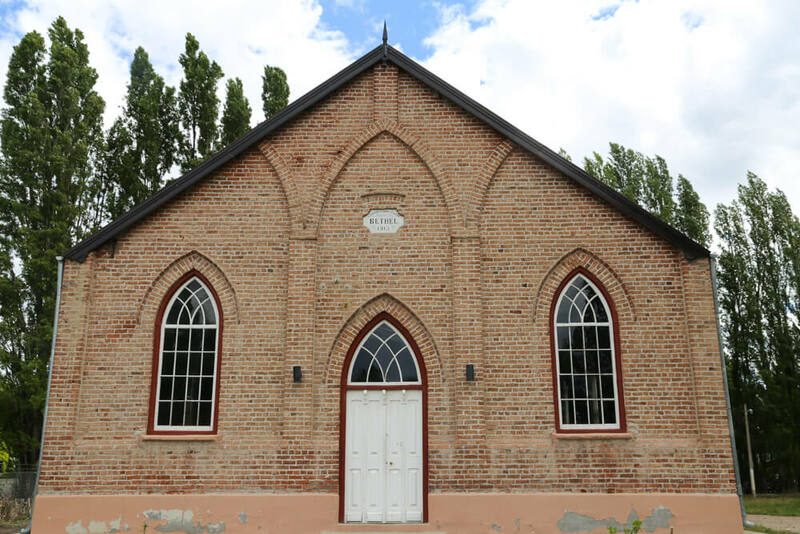 The old Bethel Chapel was built in 1884 and is a protestant church. In 1906 there was a religious rebirth in the area which led to the construction of the new chapel (above) in 1913. 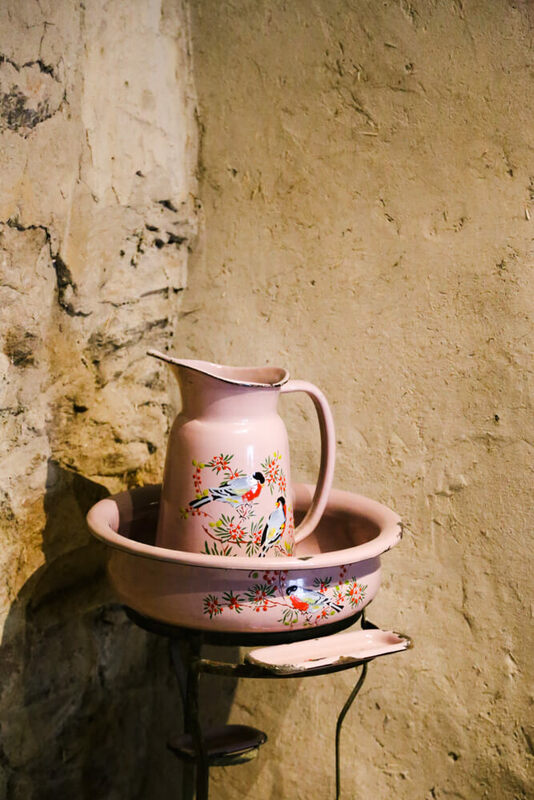 It's open for visitors on Mondays, Wednesdays & Fridays from 3-7 pm. Welsh Tea Houses are the highlight of Gaiman and the main thing I was excited about. We'd been in the cold wind all week on the Peninsula Valdes, so a hot tea and a table full of pastries was something I'd been looking forward to. Well, jokes on me, because the day we came for tea, the sun had come out and temperatures had risen significantly. But a little heat wasn't going to get between me and cake, so tea time it was. There are four tea houses to choose from and all are overpriced. When Tourist Information told us the cost, uncertainty began to set in. But I had come all the way here for this! So, overpriced tea be damned, we drove to Ty Te Caerdydd, the tea house that Princess Diana visited when she came to Gaiman (I know, I'm as shocked as you are). Unfortunately, we arrived at the same time as a huge bus full of retirees unloaded for tea time. Hardly the relaxing experience we'd hoped for. So we snapped a few pics and drove on to tea house number 2. 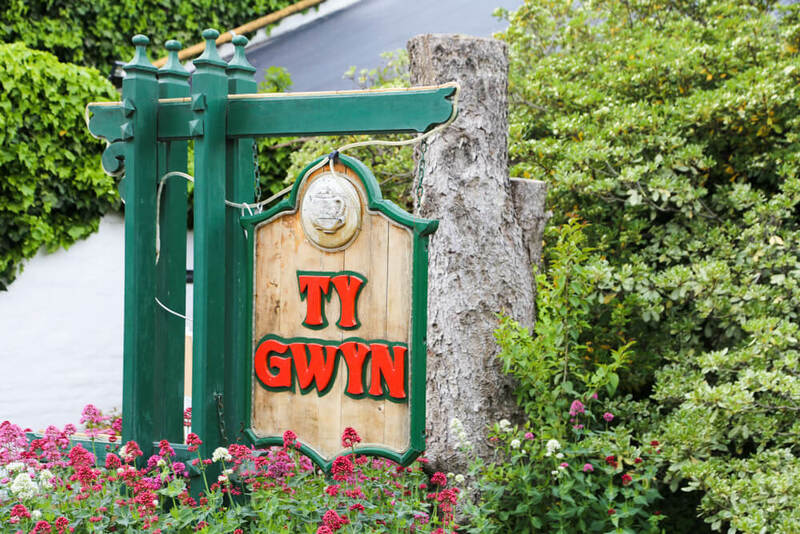 Walking into Ty Gwyn, I was disappointed from the get-go. The atmosphere was dark as if no lights were even on. The was ambiance somber, a restaurant full of sullen people hunched over tables of dismal pastries in silence. Hardly the upbeat touristy experience I'd expected. We sat down and placed our order of tea and pastries: a set menu at $500 pesos each. This was expensive in comparison to the elaborate meals of seafood and wine we'd had for much less the week before. While we sat and waited for our tea, the waitress brought the table next to us their "first course." It was straight up white bread with butter spread on it. Nothing else. This was supposed to be worth 500 pesos? Bread and butter? We left. We got up and left so fast we didn't even inform the waitress (I apologize Ty Gwyn!). I know there were more pastries to come after the bread, but I don't feel like anything was coming that was worth the $2000 pesos it would cost for the four of us. Something similar happened when we visited Carlos Keen near Buenos Aires as well. Every restaurant in that town offered the exact same menu for the exact same price. The quality of the food served was very low (without any real competition, why bother?). The tea houses all joining forces, setting a fixed (sky high) price and menu, has led to something I can't recommend. I'm sorry Gaiman. Having skipped our tea and pastries, we were still hungry. We found Cornel Wini, a new restaurant on the main street. We ordered flan, coffee, and tea and everything seemed homemade. The flan was delicious and at nearly a tenth of the price of the bread and butter we had just abandoned, we were very content. We relaxed here for a while to end our day in Gaiman before driving back to Puerto Madryn for our late flight back to Buenos Aires. Here are nearby attractions and tours that could help fill out your day in Gaiman. There is a lot to see in this part of Patagonia. Adding in a visit to nearby Rawson or not so nearby Punta Tombo could make this day much more exciting. Dolphin watching in Rawson: The town of Rawson is very close to Trelew and is one of the only places in the world to see Tonino dolphins. If you can make the schedule work to combine a boat excursion with your visit to Gaiman, you're in for an exciting day. I can't personally vouch for this activity but it's high on my list for any future trips to Puerto Madryn! Bryn Gwyn Paleontological Park: This paleontology park is only 8 kilometers from Gaiman. Visiting this park is described as traveling to 40 million years into the past. It would be a great compliment to the Trelew Paleontology Museum for dinosaur lovers. Penguins in Punta Tombo: Punta Tombo isn't exactly close at 2 hours away, but this is the largest Magellanic penguin colony in the world and is a very popular Puerto Madryn day trip. A tour like this one brings you to Gaiman, Trelew and Punta Tombo from Puerto Madryn in one jam-packed day. Any questions? Have you been and loved it? Do you disagree with my tea house hate? Comment below and let me know!